This case comes before the Court on Defendant Pathfinder Payment Solutions, Inc.’s (“Pathfinder”) Motion for Sanctions ; Defendants Frontline Processing Corp. (“Frontline”), Global Payments, Inc. (“Global Payments”), and Pathfinder’s Motion for Sanc_tions ; Defendant Electronic Merchant Systems, Inc.’s (“EMS”) Joinder in Consolidated Motion for Rule 37 Sanctions ; Frontline’s Motion for Reconsideration ; and Defendant Global Connect, LLC’s (“Global Connect”) Joinder in Consolidated Motion for Rule 37 Sanctions . After reviewing the record, the Court enters the following Order. The Consumer Financial Protection Bureau (“CFPB”) brings this suit against numerous individuals and entities in connection with a massive debt­ collection scheme. According to the CFPB, several individuals (“Debt Collectors”) created limited liability companies in Georgia and New York to perpetrate a debt-collection scheme targeting millions of consumers. The Debt Collectors allegedly used the telephone broadcast services of Defendant Global Connect to broadcast millions of threatening and false statements to consumers in telephone calls and messages. When consumers provided their payment information, the Debt Collectors then used several payment processors to withdraw funds from the consumers’ accounts. Those payment processors include Defendants Global Payments, Pathfinder, Frontline, and EMS (collectively, “Payment Processors”). The CFPB accuses the Payment Processors, along with Global Connect, of violating the Consumer Financial Protection Act (“CFPA”), 12 U.S.C. §§ 5531, 5536(a), by providing substantial assistance to the debt collectors’ unfair or deceptive conduct (Counts VIII and X), and by engaging in unfair acts or practices (Counts IX and XI). Presently pending are a number of sanctions motions filed by Defendants. One of those motions-Pathfinder’s Motion for Rule 11 Sanctions -stands on its own. The remaining motions seek sanctions under Federal Rule of Civil Procedure (“Rule”) 37 for issues arising out of Defendants’ Rule 30(b)(6) depositions of the CFPB. The Court will provide a brief background for each of those motions. In May 2015, only two months after this case was filed, Pathfinder served on the CFPB a motion for sanctions under Rule 11. (See Dkt. [352-3].) Pathfinder contended that the CFPB’s case against Pathfinder lacked a basis in law and fact, and that it was merely an exercise in government overreach. Over eighteen months later, and with fact discovery complete, the CFPB was still asserting its claims against Pathfinder. As a result, on January 4, 2017, Pathfinder filed its Motion for Rule 11 Sanctions  with the Court. While the particular content of the motion has changed since Pathfinder served it on the CFPB, the overarching argument is the same: the CFPB’s claims against Pathfinder are frivolous and warrant dismissal. Before long, the Payment Processors and Global Connect had all served the CFPB with 30(b)(6) deposition notices. The CFPB responded with motions for protective orders, arguing that the vast majority of Defendants’ noticed topics should be stricken or narrowed. In those motions, the CFPB recycled many of the same arguments it had used in opposing the depositions in the first place. For example, it asserted that many topics were duplicative because they sought information the CFPB had already outlined in its responses to defendants’ contention interrogatories. The CFPB also asserted that many topics intruded into privileged areas and would require it to divulge information protected by the work product doctrine. The CFPB was particularly concerned about being asked to marshal its evidence and to link its allegations to the specific facts that support those allegations. Each of these rulings reinforced the Court’s earlier finding that Defendants were entitled to question the CFPB about the factual underpinnings of its allegations against them. On April 11, 2017, Global Payments took the first 30(b)(6) deposition of the CFPB. Global Payments, Frontline, and Pathfinder all took issue with the CFPB’s responses during that deposition. Because Frontline and Pathfinder Were scheduled to take the CFPB’s deposition later that week, the Court held a telephone conference on the very next day, April 12, 2017. Defendants raised two broad objections to the CFPB’s deposition responses. First, they objected to the CFPB witness’s use of “memory aids” to deliver rote, sometimes unresponsive answers to Global Payments’ questions. Second, they objected to the CFPB’s counsel’s extensive use of privilege objections to prevent the witness from answering questions about the facts the CFPB was relying on to support its allegations. [W]hen the question is asked, you look at what it goes to, and if it goes to an element of the claim, then that is a fair question. If it’s asking the witness to analyze it beyond offering the facts then you’re out of bounds and you’re arguably getting over into work product …. (Dkt. [397-5] at 41:1-5.) Over the following weeks, the CFPB was deposed by Frontline, Pathfinder, EMS, and Global Connect. Defendants contend that, during each of those depositions, the problems identified during the telephone conference persisted. As a result, there are now three motions for Rule 37 sanctions pending. The first is Global Payments, Frontline, and Pathfinder’s Consolidated Motion for Rule 37 Sanctions , while the second and third are EMS and Global Connect’sjoinders in that consolidated motion [407,418]. Together, Defendants argue that the CFPB’s conduct was contrary to the Court’s instructions and prevented them from taking meaningful depositions. They contend that the Court should sanction the CFPB’s conduct by striking Counts VIII, IX, X, and XI. the factual contentions have evidentiary support …. FED. R. Crv. P. 1l(b)(l)-(3). Rule 11 empowers courts to “impose an appropriate sanction” when they determine that Rule 11(b) has been violated. FED. R. Crv. P. l l(c)(I). Pathfinder begins by noting the crux of the CFPB’s claims against it: Pathfinder should have noticed the debt collectors’ excessively high chargeback rates for particular months and should have heeded those and other ongoing warning signs of fraudulent activity. It then argues that neither the CFPB’s pre-suit investigation nor discovery have revealed evidence to support those allegations. Instead, Pathfinder contends, support for the CFPB’s allegations is limited to a misleading selection of a single month ofchargeback data for certain debt collectors. Pathfinder argues that the evidence clearly shows that its monitoring conduct, viewed properly as a whole, met industry standards and practices, and that the CFPB’s maintenance of its claims therefore warrants sanctions. … should not be employed … to test the legal sufficiency or efficacy of allegations in the pleadings” or “to emphasize the merits of a party’s position.” FED. R. CIV. P. 11 advisory committee’s notes (1993 Amendments). Yet Pathfinder’s motion does just that. It reflects a disagreement with the CFPB about its view of the evidence and the application of that evidence to the relevant law. A Rule 11 motion filed in advance of any ruling on summary judgment is not the proper procedural mechanism for the Court to resolve such a disagreement. As a result, Pathfinder’s motion is DENIED. (iii) striking pleadings in whole or in part …. Fed. R. Civ. P. 37(b)(2)(A). Rule 37(b) gives district courts broad discretion to fashion appropriate sanctions for the violation of discovery orders. See Malauetea v. Suzuki Motor Co., Ltd., 987 F.2d 1536, 1342 (11th Cir. 1993). At the same time, that discretion is not unlimited, and an extreme sanction requires “a willful or bad faith failure to obey a discovery order.” Id. But “when a defendant demonstrates flagrant bad faith and callous disregard of its responsibilities, the district court’s choice of the extreme sanction is not an abuse of discretion.” Emerick v. Penick Indus., Inc., 539 F.2d 1379, 1381 (11th Cir. 1976). As for Rule 37(d), it similarly provides that a court may order sanctions when “a party … or a person designated under Rule 3O(b)(6) … fails, after being served with proper notice, to appear for that person’s deposition.” A failure to appear includes circumstances where the witness “is not knowledgeable about relevant facts, and the principal has failed to designate an available, knowledgeable, and readily identifiable witness.” Resolution Trust Corp. v. Southern Union Co., Inc., 985 F.2d 196, 197 (5th Cir. 1993). The breadth of sanctions available under Rule 37(d) is the same as those available under Rule 37(b). See FED. R. CIV. P. 37(d)(3). Across their motions, Defendants raise two arguments in support of sanctions: (I) the CFPB did not present a knowledgeable witness under Rule 30(b)(6); and (2) the CFPB’s privilege and work product objections were highly improper and obstructed Defendants from receiving answers to questions that the Court had expressly identified as fair territory. Global Payments, Pathfinder, and Frontline insist that reopening the depositions would be futile, and that the only appropriate sanction is striking the claims against them. EMS and Global Connect join that position, but argue alternatively that the Court reopen their 3O(b)( 6) depositions. As discussed more thoroughly below, the Court finds that the CFPB’s pattern of conduct warrants substantial sanctions. 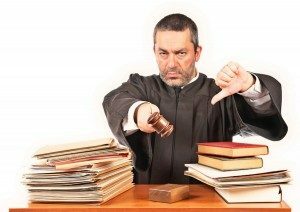 The CFPB’s Failure to Produce a Knowledgeable Witness Defendants first argue that the CFPB consistently failed to produce a knowledgeable witness. Specifically, they argue that the witness’s heavy-if not exclusive-reliance on various memory aids was improper. The CFPB responds to this argument by repeatedly noting the Court’s comment during the April 12 telephone conference that the 30(b)(6) depositions were not to be conducted as memory tests. (See Dkt. [397-5] at 4:20-25. )1 The CFPB further contends that, given the volume of facts and documents in this case, testimony without memory aids was impossible. Q Okay. So for the first, that Global Payments knew that UDPS and CP were prohibited and high-risk merchants. What facts does the Bureau have that Global had actual knowledge of that? 1 The cited page numbers for all transcripts refer to the page numbers in the CM/ECF headers, not the page numbers on the documents themselves. (Id. at 206:1-5.) The witness responded by reading, practically uninterrupted, for forty five minutes. (Id. at 206:10-239:16.) The parties took a break from the deposition, and returned fifteen minutes later. The deposition resumed with an additional fifteen minutes of reading, and even that did not complete the witness’s answer. (Id. at 240:7-252:20.) While these are the most egregious examples, similar ones abound throughout the transcripts. Indeed, the witness was hardly able to offer any testimony at all beyond what he read off the memory aids. And as the Defendants frequently pointed out, the readings were often unrelated to the question asked. So there’s an allusion in Mr. Engel’s e-mail to me today that the witness will be prepared by the CFPB to be able to address matters that aren’t just memory tests, which some of the factual aspects of it are. So my expectation is that the witne s would answer those questions and, for lack of a better term, the human touch questions, but would be prepared to answer those and to represent the position of the CFPB. (Id. at 28:1-7.) Based on the transcripts, it is clear that the CFPB’s witness was not prepared to answer follow-up questions or to stray from the memory aids in any way. The Court was quite clear, both in its initial order that the CFPB sit for 30(b)(6) depositions and during the April 12 telephone conference: more was expected of the CFPB ‘s witness than rote answers similar to what was already available to Defendants through contention interrogatories. By relying almost exclusively on the memory aids, the CFPB’s witness failed to abide by the Court’s instructions. Q The judge in his ruling said that the Bureau was to provide a witness who would testify as to all facts the plaintiff could reasonably identify as exculpatory. Are you familiar with that part of the judge’s ruling in your testimony here today? Q What, if anything, did you do to identify exculpatory facts? A I didn’t identify any. Q So in the 300 hours that you spent preparing for this, you didn’t identify a single fact that was exculpatory as to Global Payments? (Dkt. [397-2] at 24:2-17.) This same issue cropped up again later, when the CFPB’s counsel said, “our view is that there aren’t any exculpatory facts. Your view is different. But we’re not required beforehand to identify what you may think is exculpatory and educate a witness to provide that testimony.” (Id. at 132:11-16.) Similar exchanges occurred during both Pathfinder’s deposition, (see dkt. [397-4] at 80:19-23), and Global Connect’s deposition, (see dkt. at 44:3-14). In other words, despite frequently reminding the Court of the immense volume of documents and facts in this case, the CFPB’s position is that not a single fact is exculpatory to any of the Defendants. In asserting that position, the CFPB takes advantage of the Court’s instruction to testify about any exculpatory facts that it could reasonably identify. It makes the CFPB’s job much easier if it simply claims to not be able to identify any such facts. But the CFPB’s position is not a reasonable one. Surely, in the mass of evidence in this case, the CFPB could find some exculpatory evidence. Its insistence that it could not reflects an unwillingness to comply with the Court’s instructions and a bad faith attempt to frustrate the purpose of Defendants’ depositions. At the very least, the CFPB’s refusal to testify about any exculpatory evidence amounts to a failure to present a knowledgeable witness. Defendants next argue that the CFPB improperly relied on privilege and work product objections to prevent the witness from answering questions about the factual bases of the CFPB ‘s claims. The CFPB responds that its production of the memory aids accomplished the task the Court set out-to apprise Defendants of what they would be up against at trial-and that anything more amounted to the impermissible marshaling of evidence. One crucial point is that Defendants took the CFPB’s deposition in the following order: Global Payments, Frontline, Pathfinder, EMS, and Global Connect. The April 12 telephone conference occurred immediately after Global Payments’ deposition, and thus the Court’s instructions during that conference should have guided the parties at the later depositions. ENGEL: If a deposition notice had asked for that information the witness would have been prepared to provide it. But this witness was a fact witness who is not in a position to make a distinction between facts that support knowledge versus recklessness. THE COURT: To me, to ask, if the claim is that the defendant either knew or recklessly disregarded information or facts, if that’s the contention, then to ask, well, what facts show what they actually knew, it seems to me to be a question directed specifically at the claim. It then asks, well, any facts that support that they recklessly disregarded. I realize what you’re – I guess what you’ re saying is that’s asking the witness to figure out which facts show which of those matters. But those are essential elements of those claims and so if one were going to testify about the facts supporting the claim … the fact is that would be a fact that would be relevant. I don’t know that we can plow through every one of these questions but the point is that those are facts – I think what you do is when the question is asked, you look at what it goes to, and if it goes to an element of the claim, then that is a fair question. If it’s asking the witness to analyze it beyond offering the facts then you’re getting out of bounds and you’re arguably getting over into work product or you’re getting into questions that the witness is not qualified to answer and that are subject to legitimate objections. But so long as the inquiries are into facts that are within the knowledge of the Bureau and that are within the scope of the notice, then I think they’ve got to be answered. And the notice did include the facts related to the claims against, and limited to the claims, against that defendant. And so I think the example that was just given would be one where I would expect the question to be answered. That blatant disregard for the Court’s instruction is reflective of a larger problem. The parties have been litigating issues related to the CFPB’s 30(b)(6) depositions for quite some time. The Court has consistently held that the CFPB was obligated to sit for those depositions, and that it needed to produce a witness prepared to apprise the Defendants of the facts they would face at trial. But the CFPB has put up as much opposition as possible at every turn. And in doing so, it has recycled many of the same arguments over and over. The deposition transcripts show that the CFPB’s approach comes in two forms. The first is to bury the Defendants in so much information that it cannot possibly identify, with any reasonable particularity, what supports the CFPB’s claims. The second is to assert privilege objections to questions that the Court has repeatedly ordered to be answered. Neither form is proper, and together they demonstrate a willful disregard of the Court’s instructions. For the reasons above, the Court finds that the CFPB willfully violated the Court’s repeated instructions to identify for Defendants the factual bases for its claims and that, in each deposition, it willfully failed to present a knowledgeable 30(b)(6) witness. In light of the CFPB’s pattern of conduct in this case, the Court is not optimistic that reopening the depositions would be fruitful. That is especially true given the CFPB’s continued use of privilege objections in response to questions that the Court expressly identified as permissible. Thus, Defendants’ motions for Rule 37 sanctions [397, 407, 418] are all GRANTED. Counts VIII, IX, X, and XI are STRICKEN. Frontline asks the Court to reconsider its September 1, 2015 denial of Frontline’s Motion to Dismiss. Because Count IX is now stricken, there is no need for the Court to reconsider its earlier ruling. Frontline’s motion is DENIED as moot. As discussed above, Pathfinder’s Motion for Rule 11 Sanctions  is DENIED, but Defendants’ Motions for Rule 37 Sanctions [397, 407, 418] are all GRANTED. Accordingly, Counts VIII, IX, X, and XI of the Complaint are STRICKEN, and Frontline’s Motion for Reconsideration  is DENIED as moot. Having stricken all the claims against them, the following Defendants are hereby DISMISSED from this action: Frontline Processing Corp.; Global Payments, Inc.; Pathfinder Payment Solutions, Inc.; Electronic Merchant Systems, Inc.; and Global Connect, LLC. ORDERED, this ,t.J day of August, 2017.